A network of trails, so seamlessly part of the Cederberg’s natural, mosaic-patterned landscape, unravels into the distance for as far as the eye can see. A network of trails, so seamlessly part of the Cederberg’s natural, mosaic-patterned landscape, unravels into the distance for as far as the eye can see. We can feel the heat from every direction – even at sunrise. From above, cloudless skies do nothing to temper the unrelenting strength of the sun; and from below, and from every side, ancient rock formations absorb only a polite serving of heat and reject the rest, bouncing it back. The temperature is unbearable for any man or beast traversing this harsh yet magical land. 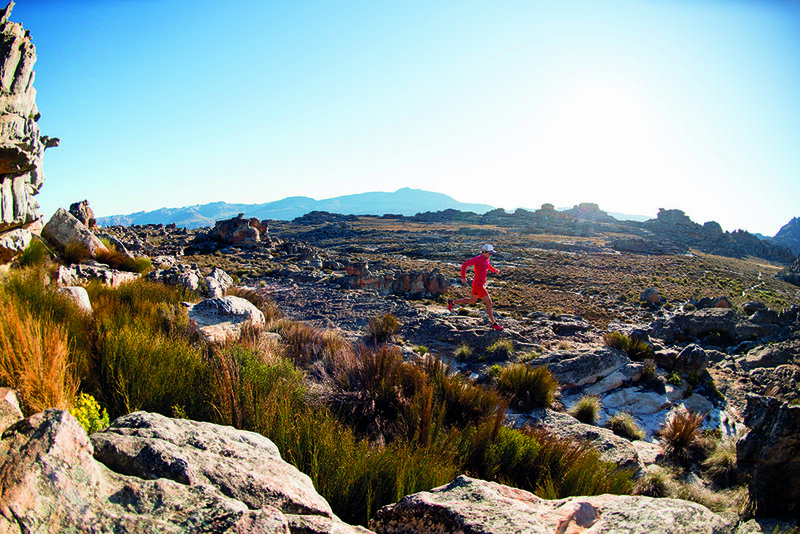 For that reason, the Cederberg isn’t a popular trail-running destination. While the notorious and inescapable heat attracts wide-brimmed-floppy-hat-wearing, boot-stomping hikers, it puts many hydration-pack-toting runners off. But even after the few runners that do visit have taken on the prodigious elements, they remember this untouched land in a positive light. Whenever the Cederberg is brought up in conversation, their eyes sparkle, and contented smiles spread across their faces. 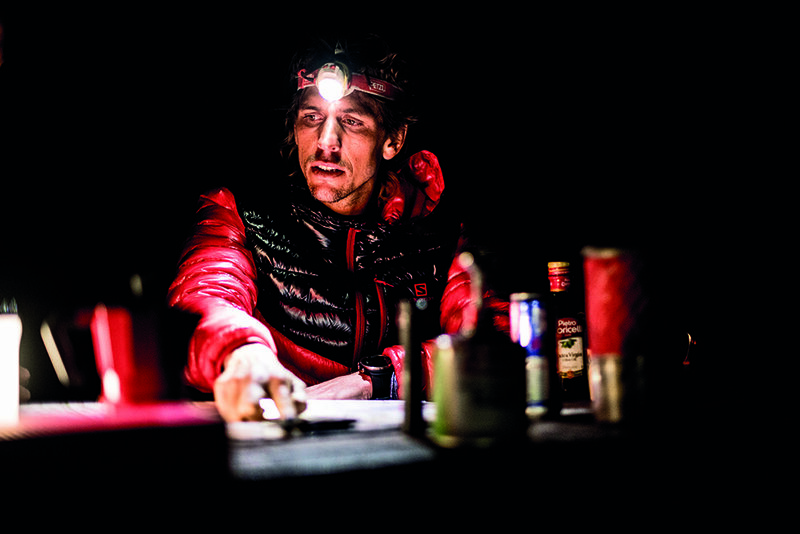 Trail legend Ryan Sandes considers the Matroosberg peaks the ideal place to prepare for his major races. It’s November 2016, and elite trail runner Kane Reilly, sports photographer Craig Kolesky and I have joined Ryan on one of his training weekends for the iconic Western States Endurance Run (WSER), which takes place in the hot, harsh valleys and mountains between Squaw Valley, Nevada, and Auburn in California. Ryan usually trains close to his home in Cape Town; but when he wants to run for hours on end without any interruptions, he often turns to the Matroosberg, which are the highest peaks in the Western Cape, and topped with snow in winter. Though WSER doesn’t feature as many high-altitude gains or relentless climbs and descents as the monstrous European races – it has a total elevation gain of 5 500m, compared with 9 600m at the Ultra-Trail du Mont-Blanc (UTMB) – it does give runners more opportunity to move faster. 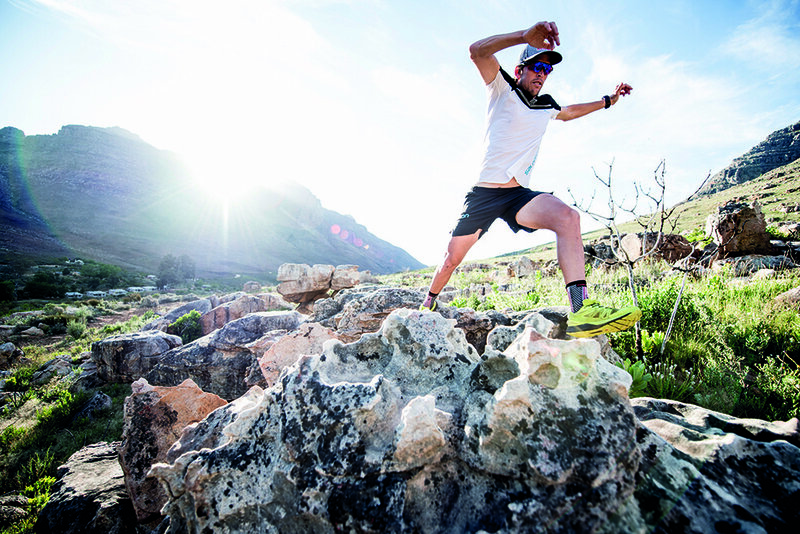 Ryan is training in the Cederberg because he needs to learn how to run rhythmically and fluidly, in preparation for tackling the long distances in hot conditions he’ll experience at WSER. Back in 2012, Ryan duelled with the eventual winner of the WSER, Timothy Olsen from the US. Though Ryan came second, they both broke the course record on the zippy route; each athlete clocked an astonishing pace of 4.30 mins/km all the way from just over the 100km mark to the finish at 160km. Five years on, and Ryan knows that in order to take top honours, he’ll have to run at that pace again – maybe even faster. 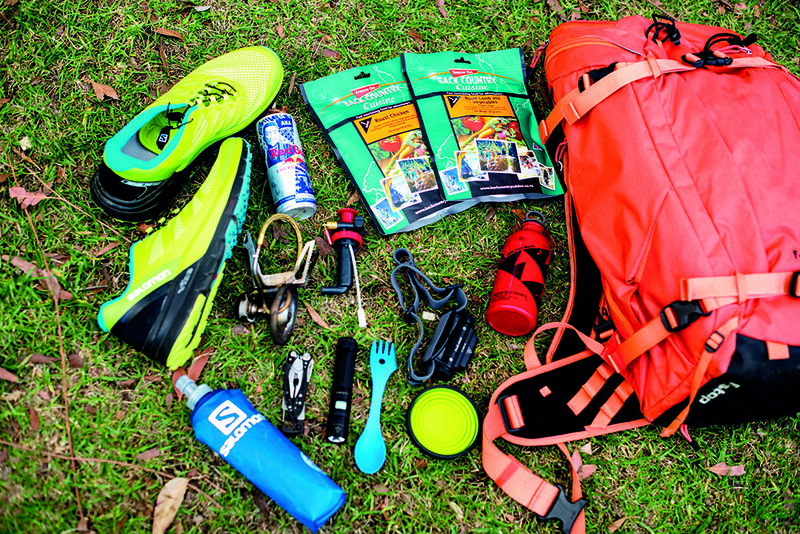 Training in the Cederberg will help him to get into the condition and headspace he’ll need to be in to achieve that. The drive out from Cape Town, via the truck-trawling, coffee-shop-dotted N7 towards Citrusdal, takes two hours. 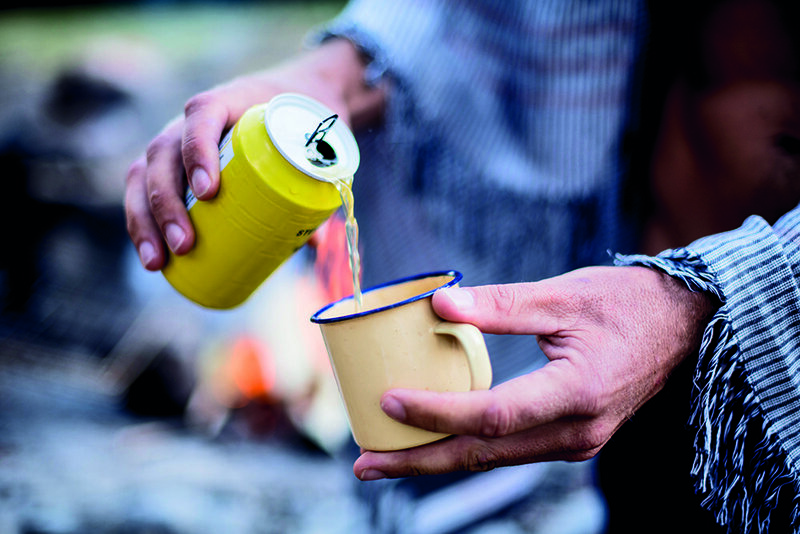 From Citrusdal there are dust roads to Algeria or Sanddrif, which are two of the best camping spots in the area. Cape Nature runs the national parks area; but the greater part of the Cederberg is made up of private farms, which have all bought into an agreement that has resulted in the 17 000ha area being awarded World Heritage Site status. This means the area has been left the same way it’s been for millions of years. Adding to the Cederberg’s ruggedness, trails link over farm borders, and there are few fences in sight. “It’s crazy to experience such isolation. The Cederberg feels so far removed from everything, and yet it’s only a few hours’ drive from my home,” Ryan observes. It’s typical of athletes to want to protect their secret training locations: surfers are notoriously territorial and possessive over their favourite breaks, fishermen seldom share the part of the ocean where they caught their biggest fish; and snow-boarders rave about off-piste back bowls with virginal-white powder, but neglect to share the GPS co-ordinates. Ask a runner about the Cederberg, and they’ll respond with all sorts of names; but they won’t tell you how to get there. Perhaps it’s a closely-guarded secret; but when I join Ryan on one of his trail-running adventures, I begin to wonder whether it’s because the Cederberg is so large, remembering where you ran is pretty much like trying to pick the most beautiful tree in a forest of five million. Only when you get there, find a trail and start running, do you realise: that’s not important. You don’t have to start running right away. The camping spots are lush green oases, featuring icy rivers to cool off in and ample, clean ablution facilities. Park-and-camp is a great option, but we want the real deal. So we purchase a Cape Nature Permit, and hike from Sanddrif up a steep 600m climb and onto a plateau. On the plateau are flat, soft areas to pitch our tents, set up a simple camp, and start running. Having someone like photographer Craig ‘CK’ Kolesky in our crew is a smart move. CK is a don’t-worry-I’ll-pack-the-kitchen-sink-just-in-case kind of guy. Not only does he have a good feel for our hike-to-camp-to-run adventure; he also knows the value of good light when it comes to capturing images, which means he’s always aware of daylight hours. People who live in the city tend to lose synergy with daylight; which is why it’s valuable to spend time in big-sky country, where life is so connected to the sun. The sun sets a little earlier in the Cederberg, behind its sharp peaks on the horizon. One minute the big ball of fire proudly dominates the sky; the next, it shyly slips behind a peak, and the temperature drops dramatically from the high 20s and 30s to single figures. Anticipating the dramatic change from light to dark, we set up our camp during the day. We quickly establish a routine: eating early, and then, with a hot drink cradled in our hands, we stop talking, tilt our heads back, and immerse ourselves in the night sky above us. It’s a clear night in the Cederberg. Otherworldly rock formations are illuminated by the stars – and it’s as though their grotesque fingers are drawing our eyes towards their favourite constellations, planets and galaxies. The seven dominant stars that make up the Pleiades (an open star cluster located in the constellation of Taurus, also known as the Seven Sisters) are impressively bright; but once the full transition to night is over, the agglomeration that is the Milky Way galaxy takes over. 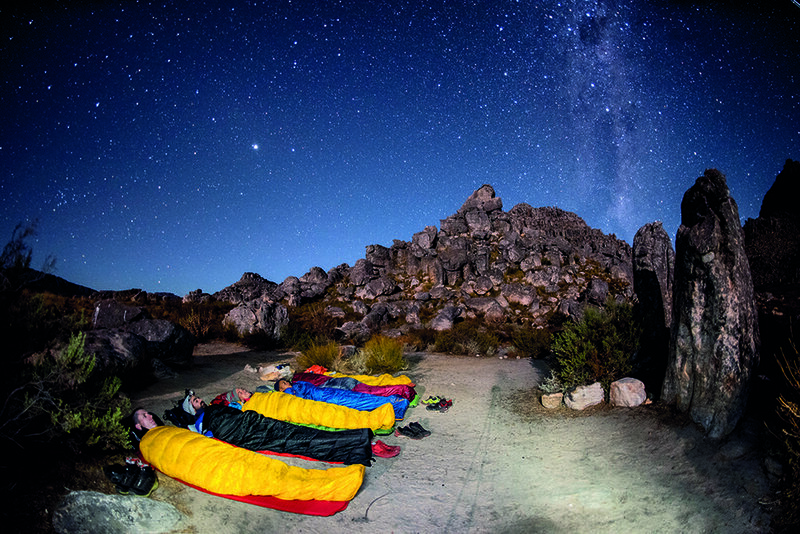 A total lack of light pollution in the Cederberg allows us to drift ever closer to these bright celestial creations until we’re a part of this miraculous sky, lost in its many worlds. So silent; and so full of unknown realities. As with the setting of the sun, the first rays as it rises must negotiate the mountains before delivering their warmth. In response, the sturdy peaks put up their own brave struggle; but the tenacious sun always wins, and pours its light into our camp to announce the start of a new day. CK is too impatient to wait for the sunrise. Before the soft dawn hues have turned to vibrant fiery shafts he’s already finishing his last sip of coffee, and commenting on the strength of Ryan’s ‘special’ coffee beans. 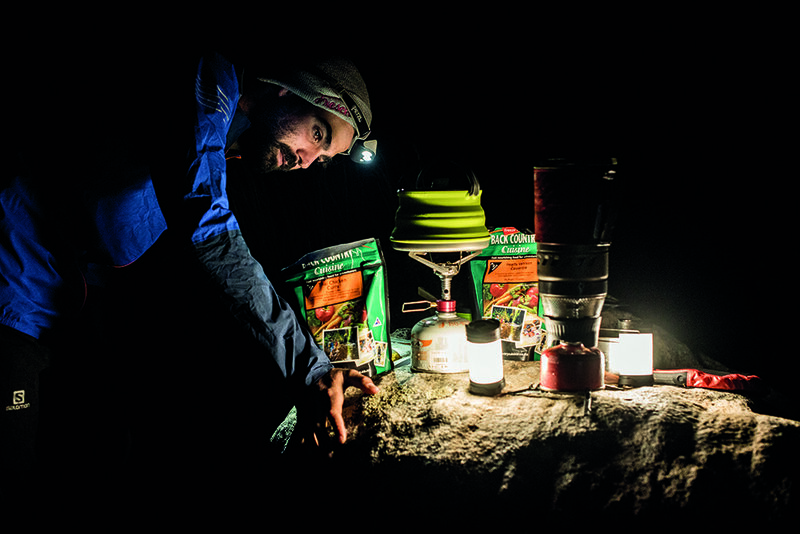 Kane is experienced enough to know the value of hydration for runners, and makes sure he’s had his fair share, before we set out on our mission to tag the highest peak in the Cederberg – Sneeuberg, at 2 026m. We’d already experienced the Wolfberg Cracks on our hike yesterday, and now we’re running past them. Sprouting out on the fynbos, these are the largest formations in our immediate proximity. It’s here that the burnt-orange colour of the rocks really makes an impact on the senses. Iron oxide is the culprit: nature’s artist is responsible for splashing such a vibrant palette onto the landscape. Strong winds have carved the soft sandstone into wondrous shapes. Running through these plateaus and valleys, strewn with gigantic rocks, I realise reality is far stranger than fiction. The trails guide us through an ancient, natural maze, composed of cairns of rocks piled on top of one another. Knowledge and experience of navigating these trails is extremely valuable. It’s ironic that Kane leads the way, considering he’s the youngest; nevertheless, he’s confident he has the route to Sneeuberg covered, and the rest of us are only too happy to follow in a hypnotic meander, snaking our way between the endless rocks. Though the looping, bending route does require a high degree of our subconscious attention. Beneath the banter exchanged by our crew, a very real amount of work is going on between the mind, the feet, and the senses. After a time, the monotony of this pattern starts to take its toll: our long strides become shorter, our feet shuffle through winding sections, and we accidentally kick small rocks. We scan the path ahead for lazy puff adders. For centuries, the San and Khoi people inhabited the Cederberg. They mastered a distinctly conservative running style for tracking antelope, which used less energy and allowed them to concentrate more on their surroundings. We discover that adopting this approach is probably the only way to cope with running in such intense heat. Kane gets the distance slightly wrong, but not the direction. He navigates his way to the top of Sneeuberg successfully – and anyway, we’re all carrying enough water not to mind being out there for longer than we planned. “Bru, next time we run up here, we’ve got to sleep here too. It’s super-rad!” he declares. Nobody disagrees. We make our way – on a (fortunately) puff-adder-less route – back down to the camp. While we all agree that camping on the top of Sneeuberg would be a night to remember, we’ve chosen an equally special place to lay our heads tonight, right at the foot of the Wolfberg Arch. It’s one of those places that defies belief, sometimes even after you’ve experienced it in reality. The scale of this hole in the wall is enormous, and the perspective it gives on our rightful place in nature all too clear under its dominating presence. It didn’t take us long, travelling to the Cederberg, to leave the manic city behind. Ryan feels light and unburdened when he runs here. Perhaps he is drawn to the area by a greater force: on the rock formations, the San and Khoi painted vibrant, human figures with energetic limbs, surging forwards – running. 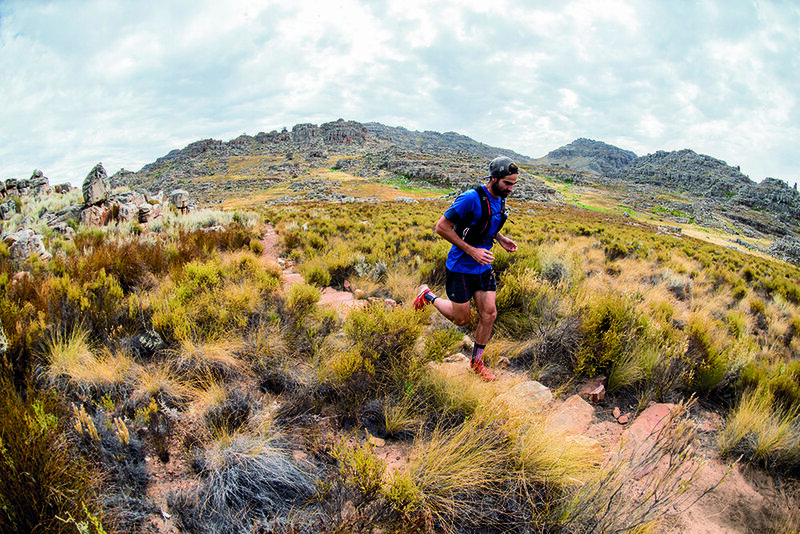 Running in the Cederberg has certainly been a humbling experience for all of us. On one hand, it’s sad not that many trail runners have enjoyed the Cederberg; but on the other, the fact that it’s untouched has made it magical for the few who have. – A self-erecting tent. It takes 30 seconds to pop it up. – It is believed there are many more rock paintings yet to be discovered. – It’s the home of rooibos tea – at one time, it was the only place in the world where it could grow. – There’s a winery and a brewery at Sanddrif (cederbergwines.co.za). – Leopards are the apex predator in the Cederberg. Thanks to huge conservation efforts, their numbers are on the increase. 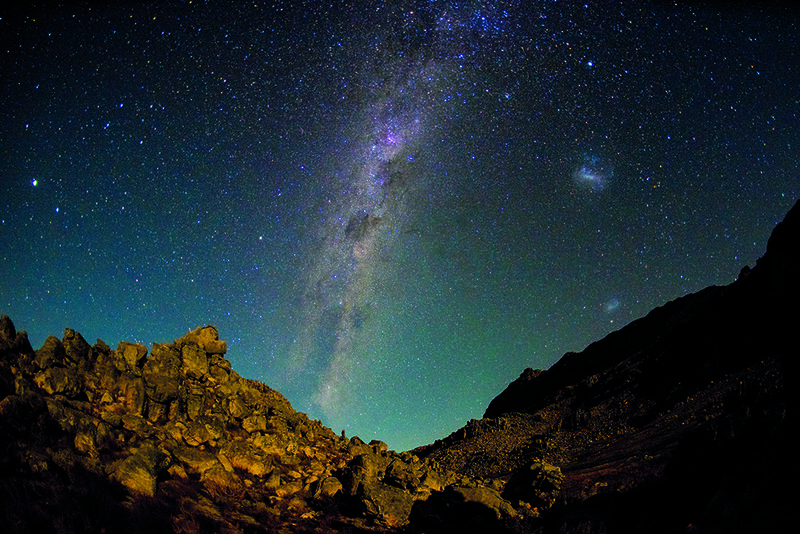 – A two-hour stargazing show, using telescopes, takes place 2km from Dwarsrivier every Saturday at 8pm.